Lock Family Eye Care Has the Sunglasses You Want! Summer is fast approaching and your optometrist in West Des Moines is here to help you find the sunglasses that you want. We believe that sunglasses are much more than a fashion statement as they provide important protection from potentially harmful UV A and UV B rays. If you wear corrective lenses it is a great idea to also have a pair of prescription or transition lenses that protect your eyes while still providing clear vision. We carry an extensive line of great frames for your sunglasses, and our optometrist will work with you to ensure that you get the pair that is right for you! Cheap sunglasses may look alright but they may cause unnecessary harm to your eyes if used over the long-term and we recommend protective lenses to all of our patients. We love our sunglasses and consider them a great fashion accessory that also serves the important function of protecting our vision and overall eye health. If you are outside a lot or spend a light of time driving during the day, it is important that you keep your eyes protected, and your optometrist in West Des Moines is here to help! 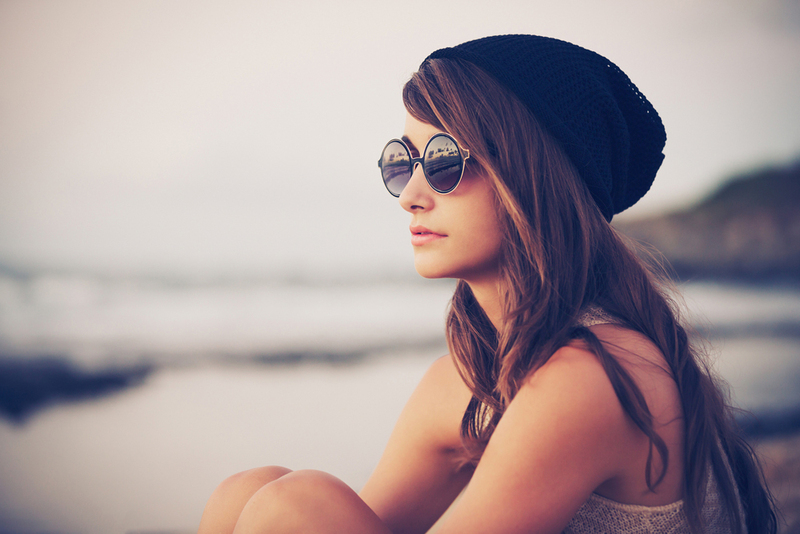 Many of our patients have recently started to wear prescription sunglasses and are thrilled with the results. In addition to protecting vision, these sunglasses are much more convenient than trying to juggle regular sunglasses and prescription glasses. Have you ever tried to put your sunglasses on your glasses to see clearly in a bright environment? Prescription sunglasses can help you to avoid this type of a situation in the future. Protection from UV A and UV B sun rays becomes increasingly important as we grow older and we are firm believers in utilizing the right sunglasses to keep your eyes protected. For example, if you spend a lot of time on the water or other reflective surfaces, polarized lenses are essential. Transition lenses are another great option for patients that wear corrective lenses. Transition lenses darken or lighten depending on the amount of the light in your environment and are really the best option for anyone looking for a high convenience factor. If you are in need of sunglasses, prescription or non-prescription, we offer all of the latest styles from today's most popular designers! We offer quality sunglasses that will provide the protection that your eyes need. Give Lock Family Eye Care a call today at (515) 267-1312 to schedule a consultation; we are conveniently located at 101 Jordan Creek Parkway in West Des Moines.